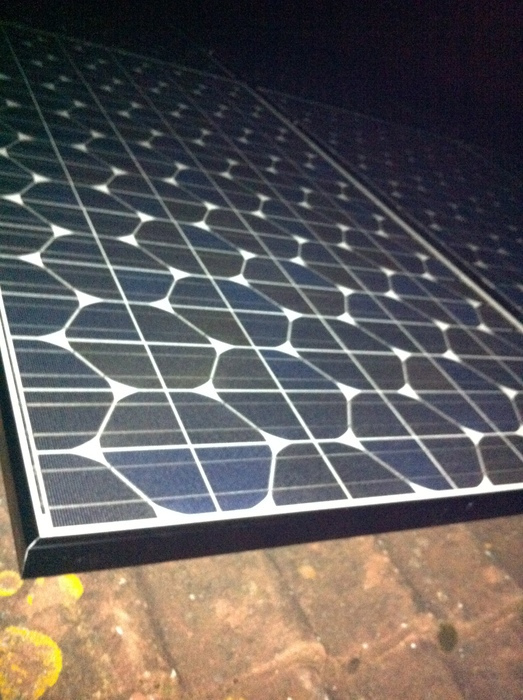 After a lot of procrastinating and fretting over the initial costs, we decided to go for it and install solar electricity panels on the roof of our house. 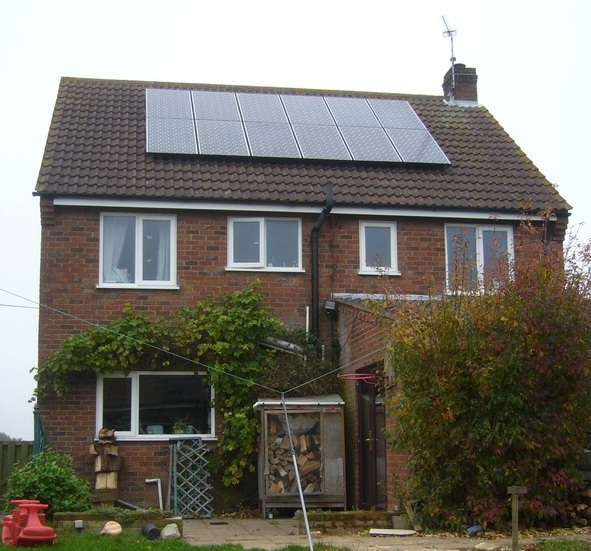 The prices of the solar panels had fallen considerably in the 18 months between quotes, and the 43p per unit feed-in tariff was still available, so we felt comfortable with the timescale for recovering our initial costs. 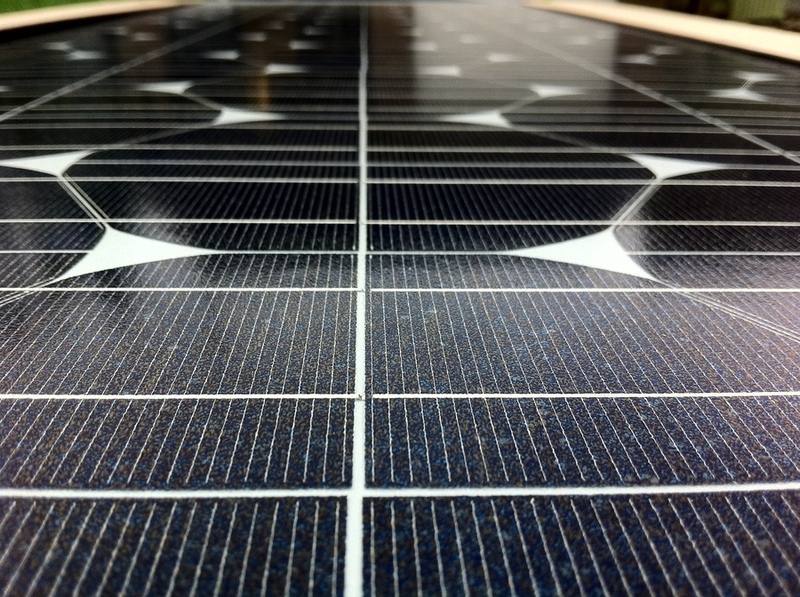 If you want to see how we worked it out, check out our solar pv return on investment calculator! 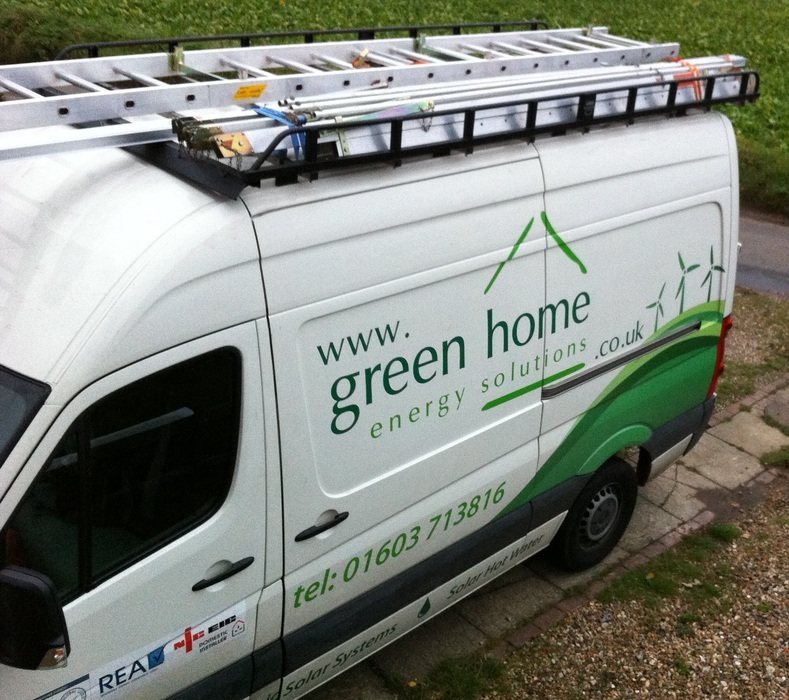 We had already chosen Green Home Energy Solutions (Durrant Electrical Ltd) as the installers, being a local company and with a great reputation. What follows is a slide-show of their work, over the course of a day and a half, to give you an idea of what's involved. 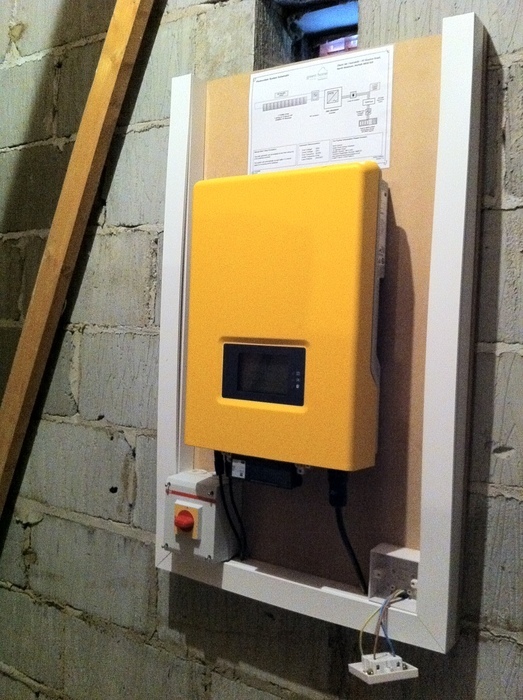 We had our 4kW installation on 30 November and, after lots of messing about because of the MCS website failures, emailed our FIT application to Good Energy on 2 December. I got them to confirm receipt by phoning them and a later email. I haven't heard anything else from them yet so I hope it's just a big backlog. I have to say they were incredibly helpful over the 'phone. We are switching suppliers (from npower) at the same time. We've generated 42 kWh during December so far. I can confirm your observation elsewhere that sunshine is needed - we've had 8 days with zero or near zero production. 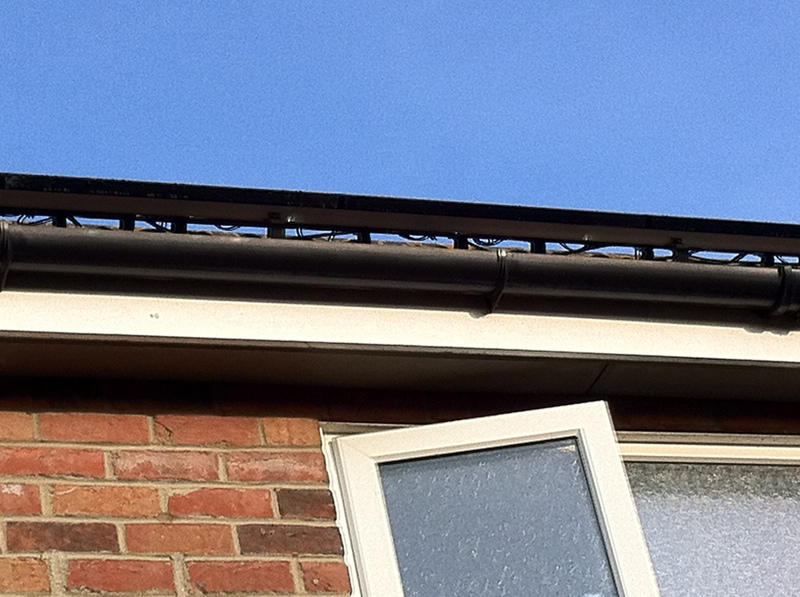 We're in N Yorks with a S facing roof. Hi John - Well, I've just discovered that our supplier has fitted the wrong inverter and I am hoping to hear today that they will change it. Our system consists of 2 strings of 9 Moser Baer 220W MAX panels, but these do not produce enough voltage under load to match the Eltek 3800S inverter's voltage working range. It's only been sort of working because it's been cold which boosts the panel's voltages. Our monthly productions were 46 (Dec), 62 (Jan) and 73 (Feb). We've just reached 203 kWh total today which, if I read your numbers right, you have exceeded in February alone. You see our problem and I am not too pleased! These numbers are about 1/2 those we should have got. If you want better comparisons I would sign up to the BDPV website and/or maybe the Sheffield University Microgeneration Database. I'm on both. Finally got our inverter changed two days ago. Now have a SunnyBoy 3600TL - new model for the UK market which restricts the output to 16A DC and avoid problems with DNO permission. Yesterday it was rain all day with about 2 nanoseconds of brightness and the new inverter still made 4.7kWh. We just had a brief sunny spell today and the power maxed out at 3.68kW so i am confident it is working well. Thanks for that, John. I've just looked at the MCS Certificate and it does not mention the inverter type/brand. It seems to be only concerned with the panels and the declared total capacity. That sounds like very sensible advice, John. 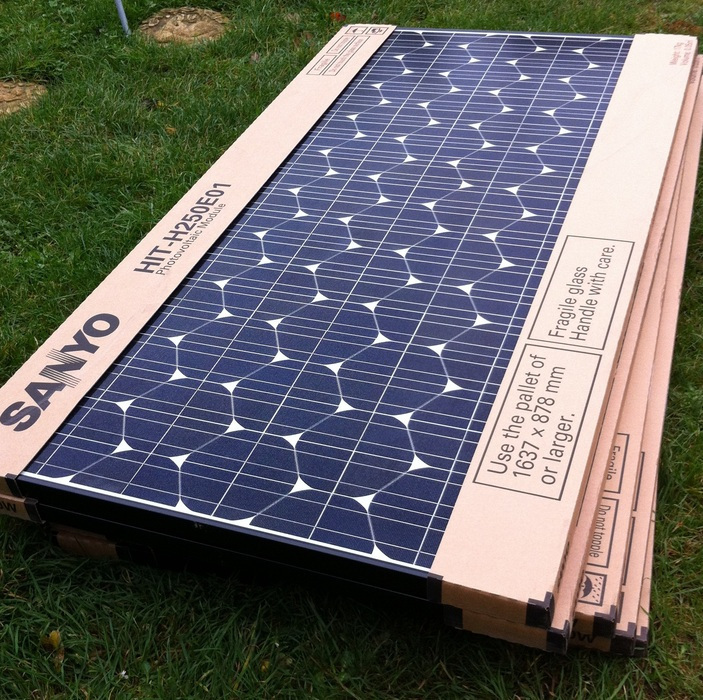 It's great that your panels are doing so well despite sticking with the Mitsubishi's - let's hope they do this well over their lifetime. Good Energy really are good, aren't they? I'm sure that they'll get the FiT tariff sorted out for you. Fingers crossed for more sun in Yorkshire! I am hoping to have my system fitted before the end of November. Can you (or anyone else)tell me how long after posting off the FIT forms did you get confirmation from your electricity supplier that everything was O.K. Obviously I am hoping to get the higher FIT rate,hence this information is very important to me. Hi Gordon, I emailed the forms to my supplier (Good Energy) and they confirmed their arrival the same day. Make sure you get a confirmation, either by phoning them or getting a call or email from them! Looks good, great to hear see it in it's entirety. Will you be doing a follow up post in a few months advising on costs and return on your investment to date? My mum would like to know how it goes and is impressed with the tidy look, and said that you have probably done it at the best time cost wise (insider B&Q info you know). Yes Kathryn, we'll publish lots of numbers on generation and earnings (provided the paperwork clears in time!) over the coming weeks and months.